Sequential pattern mining, which discovers frequent subsequences as patterns in a sequence database, has been a focused theme in data mining research for over a decade. This problem has broad applications, such as mining customer purchase patterns and Web access patterns. However, it is also a challenging problem since the mining may have to generate or examine a combinatorially explosive number of intermediate subsequences. Abundant literature has been dedicated to this research and tremendous progress has been made so far. 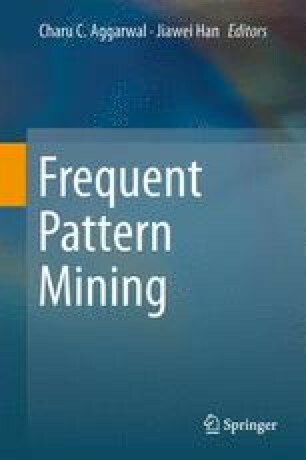 This chapter will present a thorough overview and analysis of the main approaches to sequential pattern mining.